SUDBURY, MA, U.S.A. (May 12, 2018) – Methods Machine Tools, Inc. (www.methodsmachine.com), a leading supplier of innovative precision machine tools, 3D printing technology, automation and accessories, today announced it is hosting TechDays2018 in both of their California showrooms this month. TechDays2018 will be held on May 16 – 17, 2018 from 9:00 a.m. – 5:00 p.m. each day at Methods’ Los Angeles Technology Center and Showroom located at 1980 West Corporate Way, Anaheim, California. 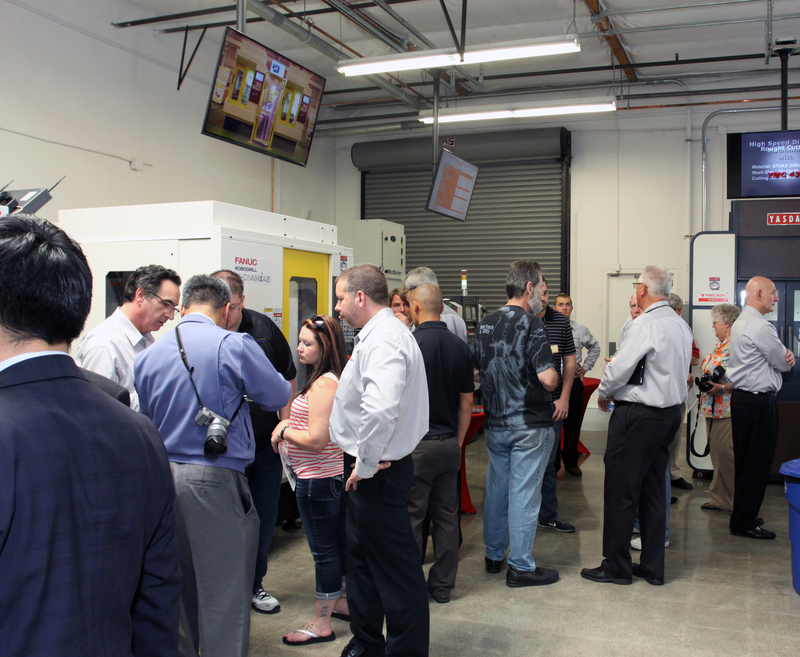 At Methods’ San Francisco Technology Center and Showroom, TechDays2018 will be held at 650 Whitney Street, San Leandro, CA on May 22 – 23 from 9:00 a.m. – 4:00 p.m. each day. Nakamura-Tome Multitasking / Turning Centers showcasing the NTY3-150. FANUC EDM and Drill / Tap Centers showcasing the C600iB, D14MiB5-ECO, and D21LiB5-24k. Kiwa Horizontal Machining Centers featuring the KMH300. Feeler High Performance Milling Centers featuring the FVP-800A. 3D Systems featuring the ProX DMP320A. VISIONx INC. VisionGauge Digital Comparators featuring the 500 Series Multi-mag. 5-Axis Milling, presented by Autodesk. Nakamura-Tome Multitasking / Turning Centers showcasing the SC-300MYB and WY-100. FANUC EDM and Drill / Tap Centers showcasing the C600iB, D21SiB5, and D21LiB5-24k. Kiwa Horizontal Machining Centers featuring the KH4500-PC6. Feeler High Performance Milling Centers featuring the VMP-800APC. Tornos Swiss Turning Centers featuring the GT26. Vytek Laser Cutting & Marking Systems featuring the Compact Elite and FiberCab FC44. 3-Axis to 5-Axis Milling, presented by Autodesk. High Speed Machining, presented by Autodesk. Multitasking / Mill-Turn Lathe Programming, presented by Autodesk. 3D Printing-Additive Manufacturing, presented by MarkForged. Bumotec Swiss Multi-Process / Turn / Mill Systems for Complex Shapes, Micro-Technology, High Accuracy and Reducing / Eliminating Production Steps, presented by Sarrag-Bumotec. Also at the San Francisco Event on May 22nd, Renishaw will present “Go Probe” Set and Inspect Part Probing and Tool Setting and on May 23rd Marposs will present Adaptive Control-Part Probing, Tool Setting and Gaging. Methods Machine Tools, Inc., in operation for 60 years, is a leading supplier of precision machine tools, 3D printing solutions, automation and accessories, providing extensive applications engineering support, installation, parts, service and training through a network of large state-of-the-art technology centers and dealers throughout North America. For more information, please contact Methods at 65 Union Avenue, Sudbury, MA 01776, TEL: (978) 443-5388, FAX: (978) 440-9405 or visit their website at www.methodsmachine.com.